Get The Right Electric Plan in Wadsworth, Texas! 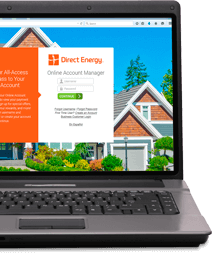 Direct Energy has already won the trust of more than four million customers across the United States and Canada. It's time you find out why. Although we're among the largest residential energy retailers in North America, our headquarters are in Texas, making us one of your friendly neighborhood electric companies. We provide big-business know-how without sacrificing the personal touch you'd expect from a hometown energy provider. We provide the insights you need to make advised decisions, be more efficient, reduce your energy use and spend less. Direct Energy is your reliable go-to resource, no matter what you need. We have plenty of specialized offerings across the United States and Canada. In the Lone Star State, there are so many things to do besides thinking about your electricity, like tending to your garden! Choose Direct Energy for low, fixed Wadsworth electric rates! During the mild and cool Wadsworth winters, you shouldn't have to worry about your electricity bill. With the products and prices that are right for your home and your budget, Direct Energy offers you peace of mind. There is a wide assortment of plans available to you, from green energy to a fixed rate, which means your rate will remain untouched if changing seasons cause prices to soar. You can count on competitive electricity rates and outstanding customer service with all of our plans, and there are more perks where those came from. Once you've settled on your perfect plan, you can use our Online Account Manager to view your bills, check out exclusive offers, and more. Simple as that! Learn some cost-cutting tips about energy in Texas by heading to our Learning Center. At Direct Energy, we want to be more than just your energy company. 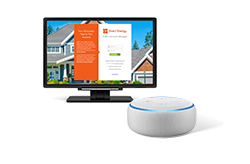 We want to be there for you as a partner in your home. That's why we provide you with the knowledge and tools to help you become more energy-savvy, while creating a brighter home. Direct Energy is not your standard electricity supplier in Wadsworth, Texas. Our commitment as an energy provider is to help you Use Less of What We Sell. That means providing our customers in the AEP Central area with the resources and tools to do just that. 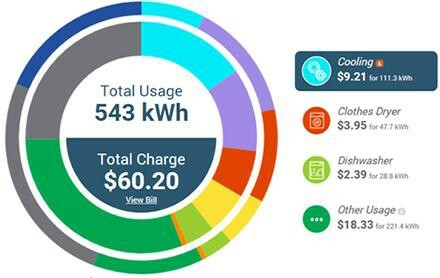 As a Direct Energy customer, you'll get access to Direct Your Energy, a custom suite of energy insight tools, that will help you figure out and oversee your home's electricity costs. Receive a high-level view of your current energy use. Does it look like your energy usage is going to be higher this month? Or have you been taking shorter showers, and noticing some savings? Our Learning Center and blog also contain considerable tools for you to learn more about your energy use. Direct Energy is dedicated to helping you care for your home and understand and manage your energy use. Be aware of the common facts and myths about LED lights. We have information on that and more! Are you switching Wadsworth electricity providers? Or maybe you need new service? You can trust Direct Energy to make the process simple, so if you've been researching TXU Energy, or other electricity providers such as Reliant Energy or Green Mountain Energy, don't look any further. We have a plan for everyone, from the freedom of a connected home bundle to the stability of a fixed rate and everything in between. We even make paying your monthly bill stress-free with options like Auto Pay and Paperless Billing, all managed in our easy-to-use Online Account Manager! There are several things you can always count on, no matter which electricity plan you choose for your Wadsworth home - like fixed rates and great customer service! Take advantage of our advanced technology and energy insights tool, Direct Your Energy, to understand and manage your usage. Check out our educational resources to increase your energy efficiency and save on your monthly bills. With a commitment to helping you save money on your electric bill, we are different from other electricity companies. Did you know that if you sign up for the Reduce Your Use Rewards program and reduce your energy consumption on the days we request, you'll receive a 10% discount on your next bill? 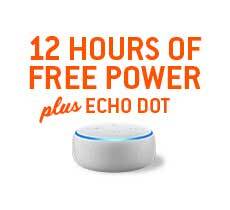 Direct Energy has everything you need to live smarter, so don't waste any time. Sign up today!